Astrophysicists have found the first ever evidence of gigantic remains being formed from repeated explosions on the surface of a dead star in the Andromeda Galaxy, 2.5 million light years from Earth. The remains or “super-remnant” measures almost 400 light years across. For comparison, it takes just 8 minutes for light from the Sun to reach us. A white dwarf is the dead core of a star. When it is paired with a companion star in a binary system, it can potentially produce a nova explosion. 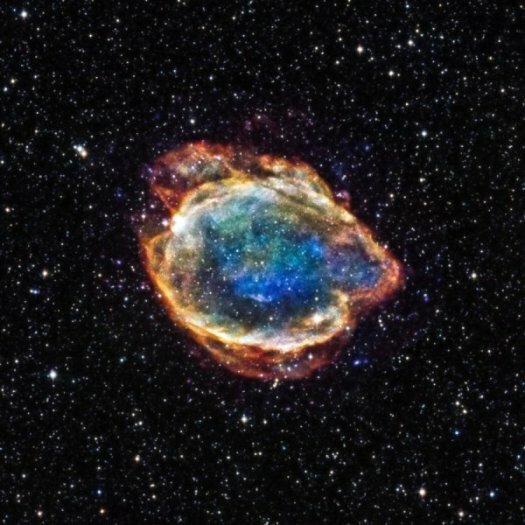 If the conditions are right, the white dwarf can pull gas from its companion star and when enough material builds up on the surface of the white dwarf, it triggers a thermonuclear explosion or “nova,” shining a million times brighter than our Sun and initially moving at up to 10,000 km per second. 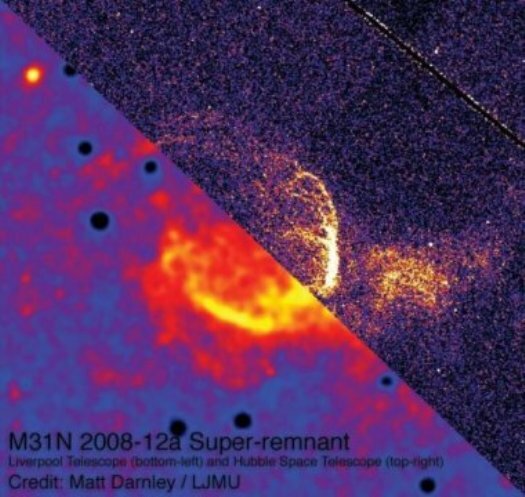 They used Hubble Space Telescope imaging, accompanied by spectroscopy from telescopes on Earth, to help uncover the nature of a gigantic super-remnant surrounding the nova. This is the first time such a huge remnant has been associated with a nova, and their research appears in Nature. 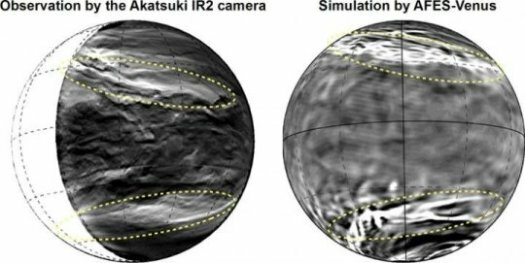 He said: “This result is significant, as it is the first such remnant that has been found around a nova. This nova also has the most frequent explosions of any we know — once a year. The most frequent in our own Galaxy in only once every 10 years. 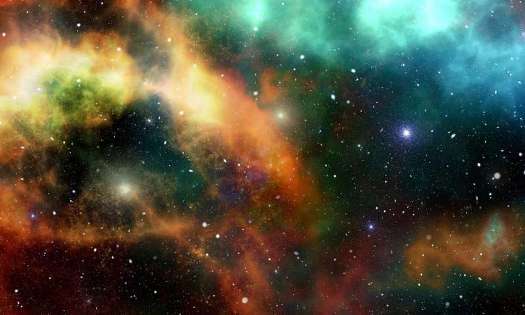 Now researchers at MIT and elsewhere have pored through data from multiple telescopes’ observations of the event, and discovered a curiously intense, stable, and periodic pulse, or signal, of X-rays, across all datasets. The signal appears to emanate from an area very close to the black hole’s event horizon — the point beyond which material is swallowed inescapably by the black hole. The signal appears to periodically brighten and fade every 131 seconds, and persists over at least 450 days. The researchers believe that whatever is emitting the periodic signal must be orbiting the black hole, just outside the event horizon, near the Innermost Stable Circular Orbit, or ISCO — the smallest orbit in which a particle can safely travel around a black hole. 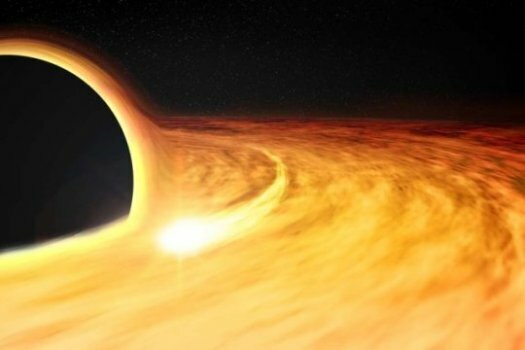 The study’s first author, Dheeraj Pasham, a postdoc in MIT’s Kavli Institute for Astrophysics and Space Research, says that most supermassive black holes are dormant and don’t usually emit much in the way of X-ray radiation. Only occasionally will they release a burst of activity, such as when stars get close enough for black holes to devour them. 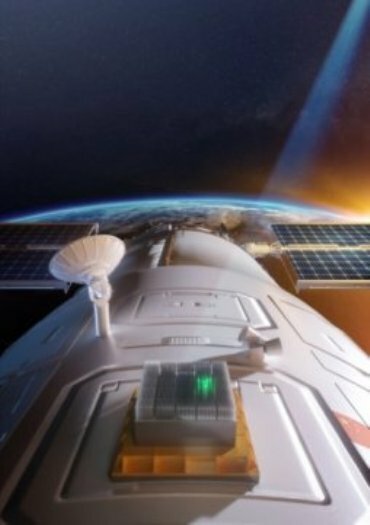 Now he says that, given the team’s results, such tidal disruption flares can be used to estimate the spin of supermassive black holes — a characteristic that has been, up until now, incredibly tricky to pin down. What he observed was a surprisingly strong, stable, and periodic burst of X-ray radiation that appeared to come from very close to the edge of the black hole. The signal pulsed every 131 seconds, over 450 days, and was extremely intense — about 40 percent above the black hole’s average X-ray brightness. Such a white dwarf may have been circling the supermassive black hole, at ISCO — the innermost stable circular orbit — for some time. Alone, it would not have been enough to emit any sort of detectable radiation. For all intents and purposes, the white dwarf would have been invisible to telescopes as it circled the relatively inactive, spinning black hole. 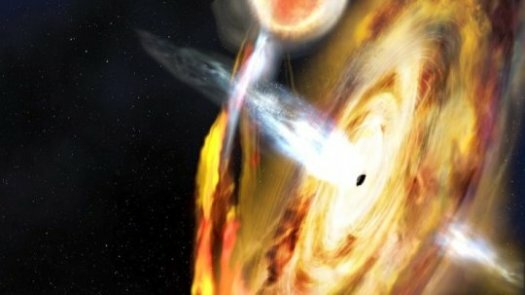 Sometime around Nov. 22, 2014, a second star passed close enough to the system that the black hole tore it apart in a tidal disruption flare that emitted an enormous amount of X-ray radiation, in the form of hot, shredded stellar material. As the black hole pulled this material inward, some of the stellar debris fell into the black hole, while some remained just outside, in the innermost stable orbit — the very same orbit in which the white dwarf circled. As the white dwarf came in contact with this hot stellar material, it likely dragged it along as a luminous overcoat of sorts, illuminating the white dwarf in an intense amount of X-rays each time it circled the black hole, every 131 seconds. The scientists admit that such a scenario would be incredibly rare and would only last for several hundred years at most — a blink of an eye in cosmic scales. The chances of detecting such a scenario would be exceedingly slim.